At the USC School of Cinematic Arts’ John C. Hench Division of Animation and Digital Arts, students are encouraged to create worlds where anything is possible. They got a taste of how this can be done with an advanced screening of DreamWorks Animation’s new film Rise of the Guardians, in which an unlikely team consisting of Jack Frost, Santa Claus, the Tooth Fairy and the Easter Bunny band together to save the holidays. 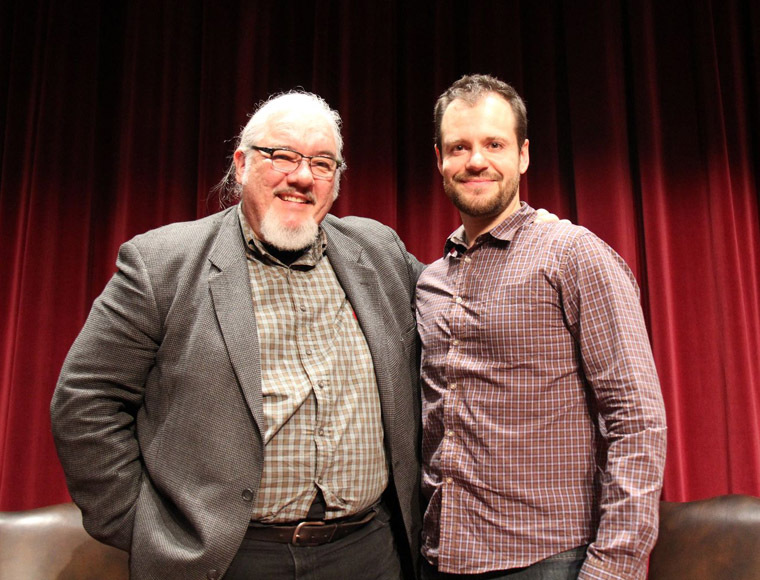 Following the November 16th screening, USC Professor of Cinema Practice and renowned animator Tom Sito moderated a Q&A with the film’s Head of Character Animation Gabe Hordos to give students an inside look on what it takes to be an leading industry animator. Hordos has been animating since childhood but found his first industry gig in animation by working on Joseph: King of Dreams. Since then, Hordos has successfully navigated the animation industry and has found a home at DreamWorks Animation. Further credits include Shark Tale, Bee Movie, Kung Fu Panda and as supervising animator of Toothless, the lead dragon in How to Train Your Dragon. Rise of the Guardians follows Jack Frost’s quest as he desperately seeks his life’s purpose. While on his path to self-discovery, Jack is enlisted by the Guardians to help save the holidays from cold-hearted villain Pitch and to remind children everywhere that the legends are more real than fairy tales. The cast includes Chris Pine, Alec Baldwin, Jude Law, Isla Fisher and Hugh Jackman. Rise of the Guardians opens nationwide on November 21 in both 2D and 3D versions.